How to become a member of the FitEyes Email Discussion Group? Once you register on FitEyes.com, you are also automatically enrolled in the FitEyes Email Discussion Group, where you receive discussion emails, post your questions to the Group, and have informal email conversations with our highly intelligent and helpful members. The subscription to the FitEyes Email Discussion Group is part of your membership at FitEyes.com. We at FitEyes consider the Email Discussion Group to be the most important source of member-generated content boasting the richness of information about glaucoma and eye pressure that you can't find anywhere else. Once your email address is added to the Discussion Group's mailing list, you will start receiving other members' emails and can participate in discussions by replying to any email that perks your interest. You may also just read through emails on topics that interest you. You are not obliged to be an active Discussion Group member to have access to the Group. But you have to be a registered FitEyes.com member to be a member of the Discussion Group. If you are a new user and haven't yet registered on FitEyes.com, please register on FitEyes.com to have access to the FitEyes Email Discussion Group. 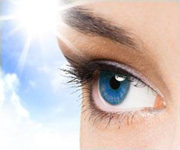 Join the Internet's Largest Eye Pressure Research and Glaucoma Support Community!